View of Ballykeel Lougherne from the footpath as evening falls. 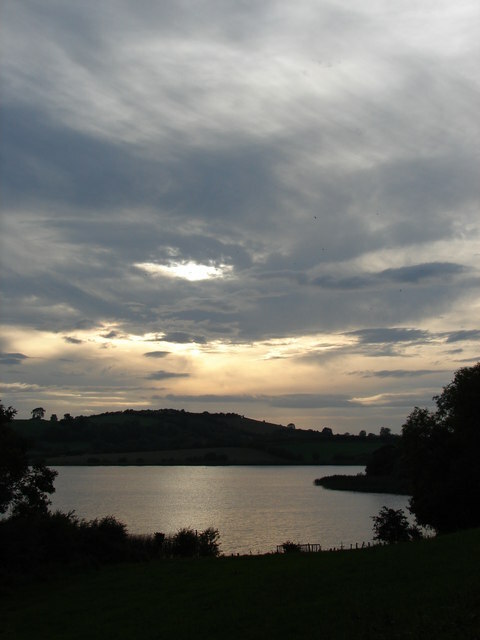 A 21.4 ha area lake stocked with brown trout and rainbow trout. They can be yours if you get a permit from the Department of Culture, Arts and Leisure. Guess this one comes under 'Leisure'!